Kombucha is a living culture and will last you a lifetime. If you feed it regularly and take care of your culture which is easy and does not take up your time at all. All cultures come with recipe and instructions it also have a full free Pdf. Book on the website that you may download at any time. The full book has amazing recipes to make the most amazing drinks and baking and to never have a dull moment with your new kefir family member in the house. Enjoy the natural strongest probiotic on the planet. 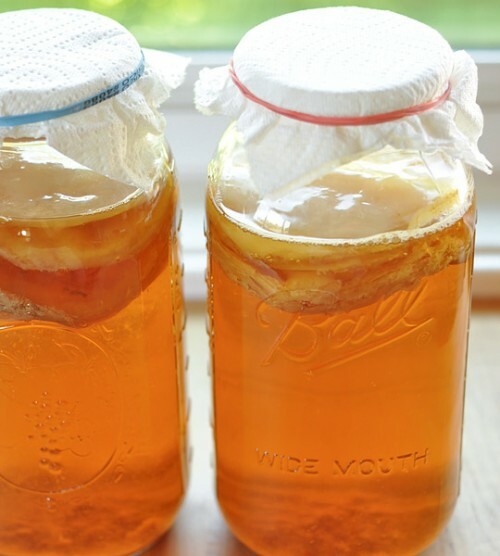 It is made from tea, sugar, a scoby and a starter from a previous batch (you will need a starter kit " Scoby or Mushroom + Starter Tea" to start brewing kombucha). 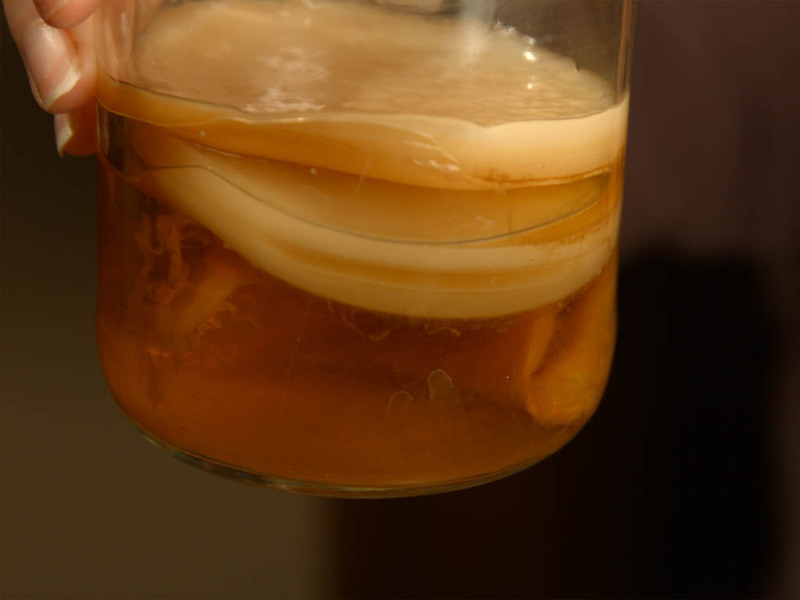 A SCOBY is an acronym for symbiotic colony of bacteria and yeast. In short, it’s beneficial bacteria and yeasts that work synergistically together to produce a certain type of ferment. 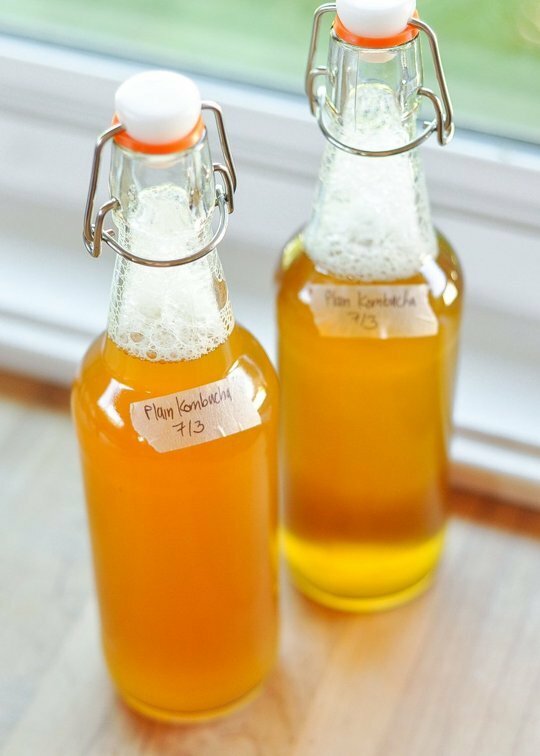 Kombucha is brewed (or fermented) over a course of 7-31 days. The final product is naturally carbonated making this a fizzy and tasty drink. 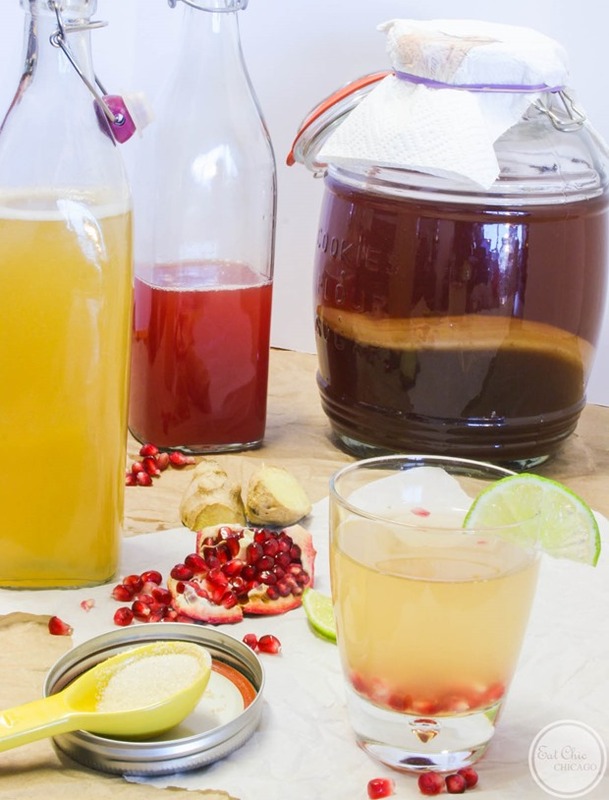 Kombucha has been known to have some amazing health benefits, let’s dive into this topic! 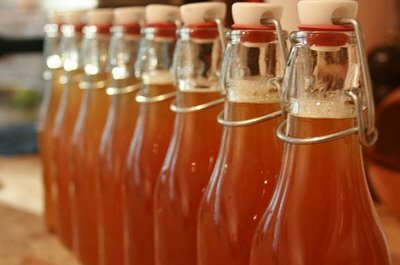 Health Benefits of Kombucha & Why is Kombucha so Good for You? Kombucha around the world is considered a healing drink and it has some amazing health benefits. It should be noted the kombucha can not heal, it just brings your body into balance to allow your body to heal naturally! Here is a list of healing properties from drinking kombucha. Place Pot on the Stove, and bring 3L to 5L of water to a boil. Stir in 1 cup of white sugar and stir with a wooden spoon until well dissolved. Pull off burner and add 4 tea bags of organic black tea. You need to use black teabecause the tannins help with the fermentation. You can also add 2 bags of green tea or flavored green tea to your tea. I added in addition to the 5 tea bags two bags of black cherry green tea. Feel free to experiment with different teas to find a blend that you like. I have also seen many use 2 tea bags of black tea and 3 tea bags of green tea of choice. Once you add your tea to the sugar water, allow your tea to steep until the water completely cools. I allowed mine to steep for a little over two hours. Remove tea bags when tea has cooled. You will store future scobies at room temperature covered with a coffee filter or towel. Now add your scoby and starter to the tea and stir with a wooden spoon. The scoby might sink or float, either way it is fine…it is completely normal. Allow to sit for 7-31 days. I would check it after 10 days to see if it is to your liking. The longer the brew the less sugar that will be left however keep in mind that the longer the brew, the more it will resemble a vinegar taste. Do not place your straw in the kombucha and drink right from container, you will contaminate your culture. 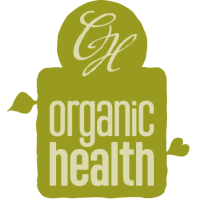 What can Probiotic Yummy's can i Make with Kombucha ?